Virgin Media has announced it is to dip its toes into music streaming, in a bid to beat the online pirates. In a partnership with Universal Music, Virgin Media will offer access to a massive library of DRM-free music for a yet-undisclosed fee (rumoured to be the price of a couple of albums a month) which will allow Virgin Media broadband customers to both stream and download as many music tracks and albums as they want from Universal Music's entire catalogue. In a press release, Virgin Media has labelled the music service as "ground-breaking" saying it is: "designed to bring about a rapid and permanent change in the way UK consumers buy and listen to music." Interestingly, the service has been launched to directly tackle the problem of piracy on the internet, with Virgin Media saying: "This will involve implementing a range of different strategies to educate file sharers about online piracy and to raise awareness of legal alternatives. "They include, as a last resort for persistent offenders, a temporary suspension of internet access. No customers will be permanently disconnected and the process will not depend on network monitoring or interception of customer traffic by Virgin Media." Essentially, if you download or upload any music owned by Universal (or any other future partners) illegally while using the service, there will be repercussions. Owner of Virgin, Richard Branson, who started out in the music business with Virgin Records, said about the announcement: "I'm thrilled to see Virgin back where it belongs at the heart of music and, once again, breaking the mould. "Virgin Media's agreement with Universal is a world first and lays the ground for a truly unique service when it launches later this year. It will give music fans all the MP3s they want for a small monthly fee whilst supporting the artists whose creativity is the lifeblood of music." Virgin Media's CEO, Neil Berkett, said about the launch: "In terms of both convenience and value, our new music service will be superior to anything that's available online today and provides a fair deal for both consumers and artists. "There is no better example of Virgin Media's commitment to harnessing digital technology to give customers what they want, when they want and how they want." 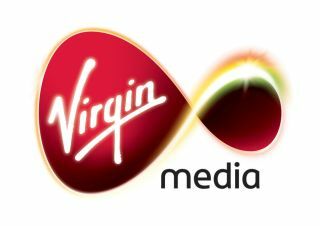 The service will be available later in the year to Virgin Media subscribers.